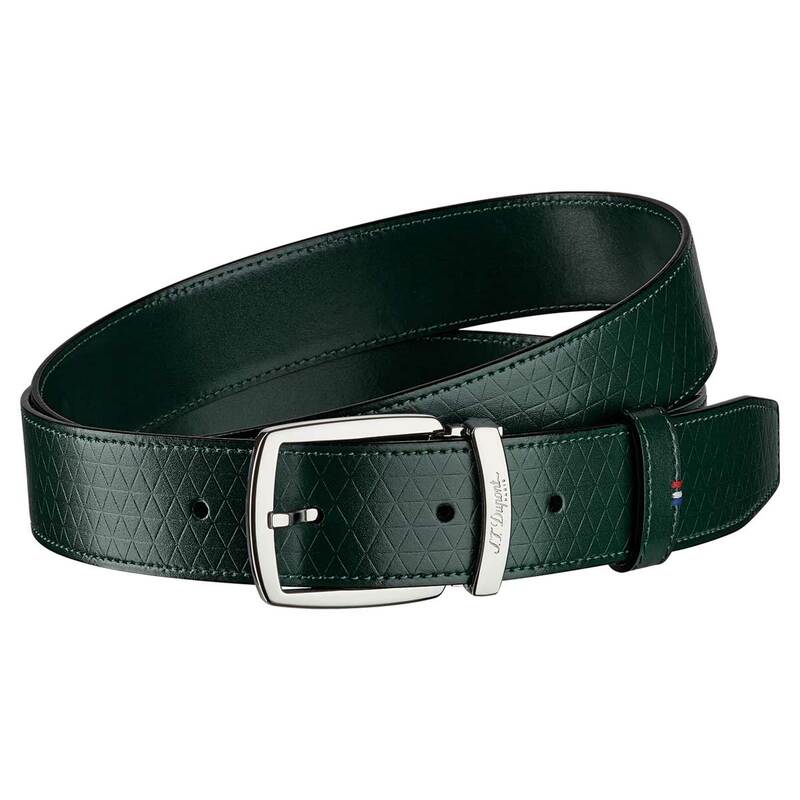 Fire Head Line D Intense Green Leather Belt with triangular pattern. 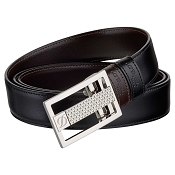 Handmade and crafted from luxury leather and hand-embossed with the Fire Head pattern, this stylish mens belt has a velvety feel when touched, contrasting superbly with the geometrical precision of its triangular motif. Available in a 110 cm (43.3 in) length / 35 mm (1.4 in)width. A tricolor band, sewn by hand on the loop is a testament to S. T. Dupont's French identity. 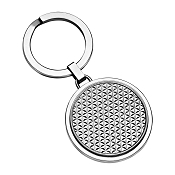 Personalize name, initials, or add logo.